Any Siblings or Family Pets? 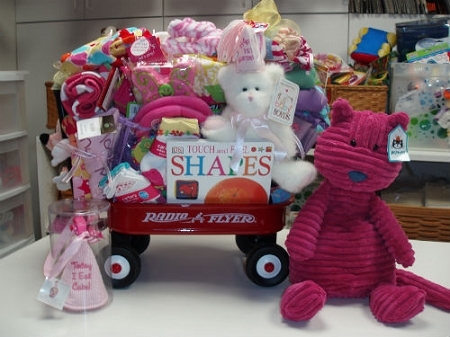 Sure to bring giggles, smiles, and fun to little faces. 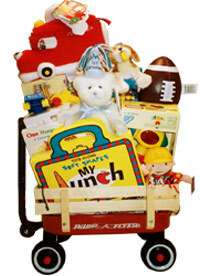 A Radio Flyer® wagon filled with fun and educational toys, crayons, colored pencils, coloring/activity book, age appropriate toys, some of our favorite books, puzzles, animal crackers, snacks, goodies, "My First Birthday" Boyd bear, and soft plush toys that will brighten any child’s First Birthday!